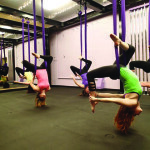 Aerial Dance offers a TON of opportunities for adult women to workout, dance, gain strength, and increase flexibility. Our class types are divided into 3 main categories. Our Pole Courses run in 8-week terms so you can safely build strength and see progress! We offer 5 levels: Beginner, Intermediate, Advanced 1, Advanced 2, and Extreme. We offer classes on three aerial apparatus: Hammock, Hoop and Silks. There are a variety of different types of class structures and workouts available on each apparatus. All of these classes can be taken as a single, drop-in or as part of one of our memberships. 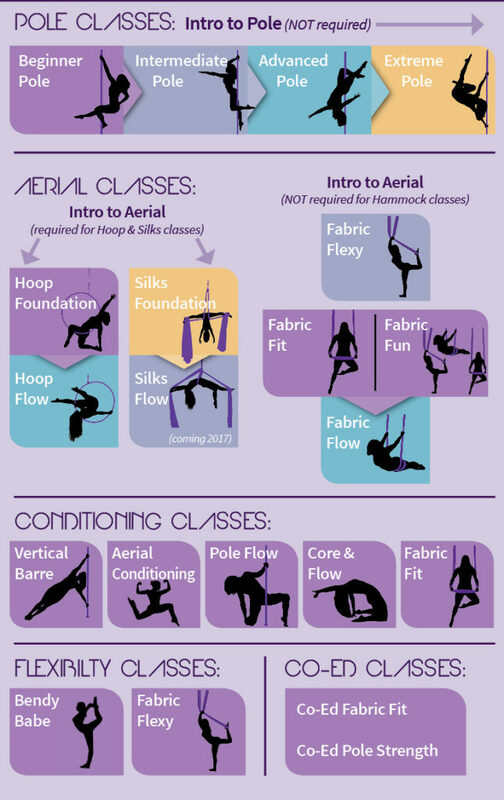 We offer classes daily that are “standard” workout style classes but with an Aerial twist! Use the Pole for a Barre style class or increase your flexibility using a hammock. All of these classes can be taken as a single, drop-in or as part of one of our memberships.